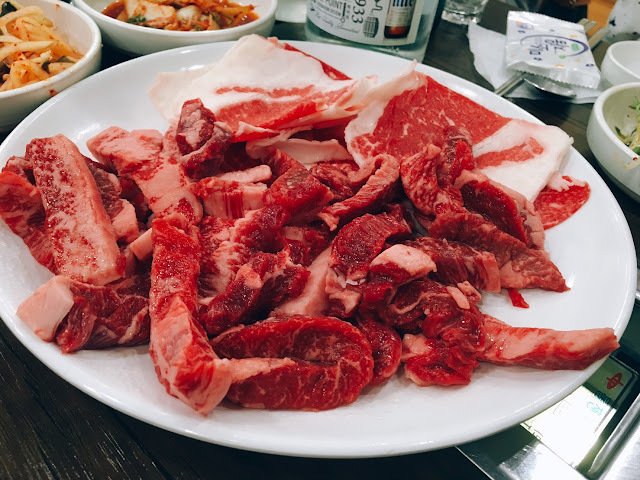 "Han-u," which literally means "Korean beef," is known as top quality and delicious meat, and considered a delicacy. If you're on a tight budget, this definitely is not the menu for you. But what if you're super curious and just need to try? 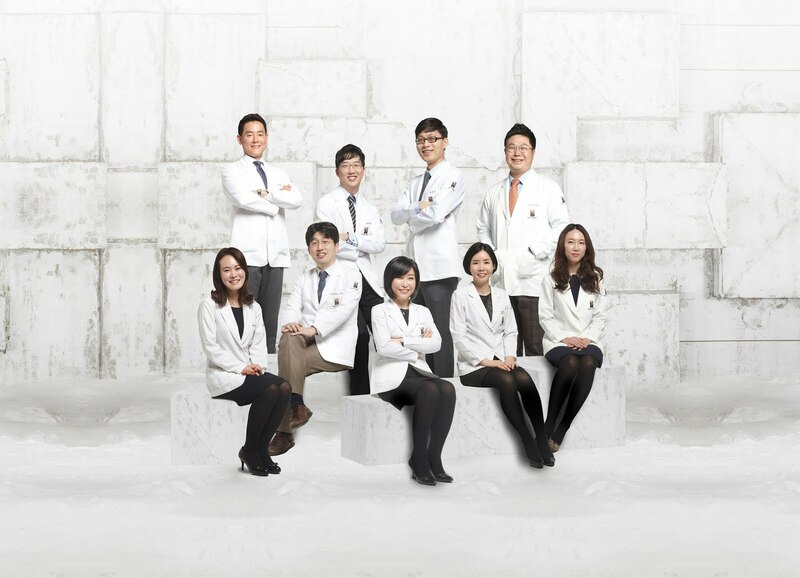 Maybe you can head over to Yangje Jungyuk Sikdang - a KBBQ restaurant located 5 minutes from Renewme Skin Clinic Seocho branch, that sells affordable Han-u! 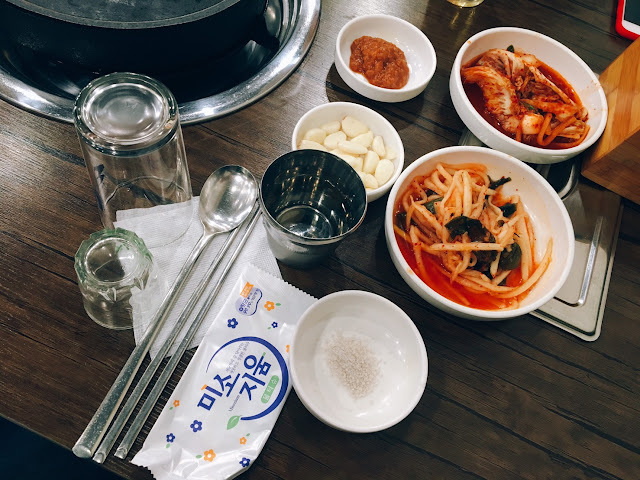 Jungyuk means meat-packing, or butcher, which means this place is also a butcher shop that acts as restaurant as well, explaining the insanely low prices. But don't be fooled by the name! 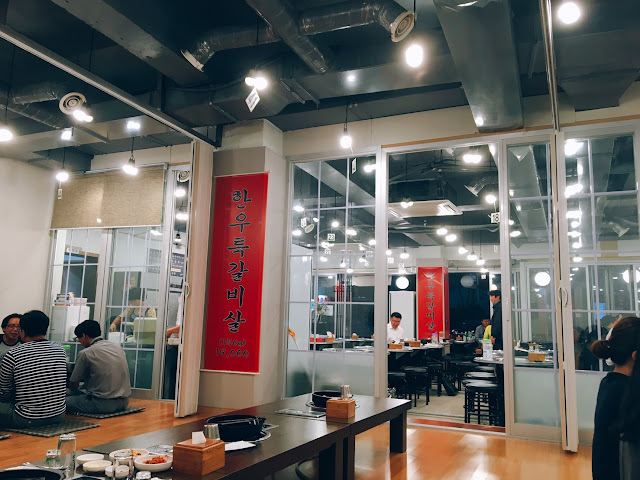 The interior is clean, spacious, and just like any other Korean BBQ restaurant. 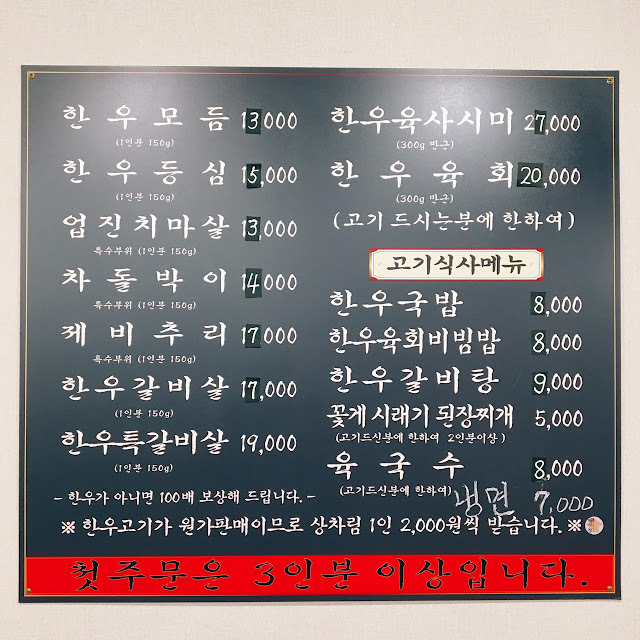 The menu is unfortunately not available in English (because it's more of a local place than touristy), but basically the menu on the left is the pricing per area; the top right menus are raw beef (yes, beef sashimi is a thing), and the bottom right menus are beef-related soups, rice dishes, and such, that accompany your meat. You need to order at least 3 portions of the BBQ to order one of these. 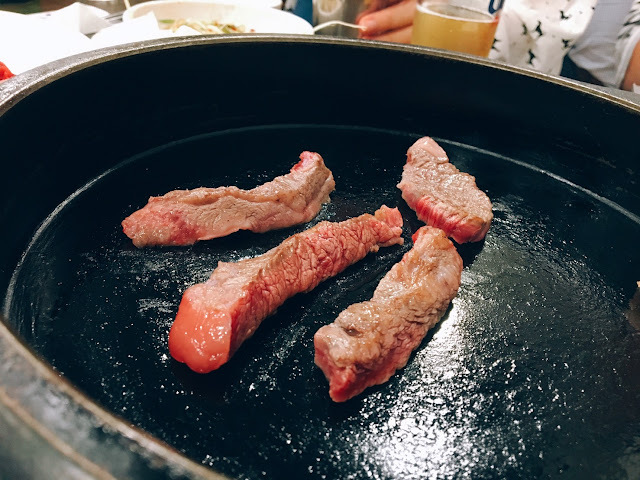 The table setting is charged an extra 2,000 KRW per person because the meat is so cheap. Which is quite understandable. 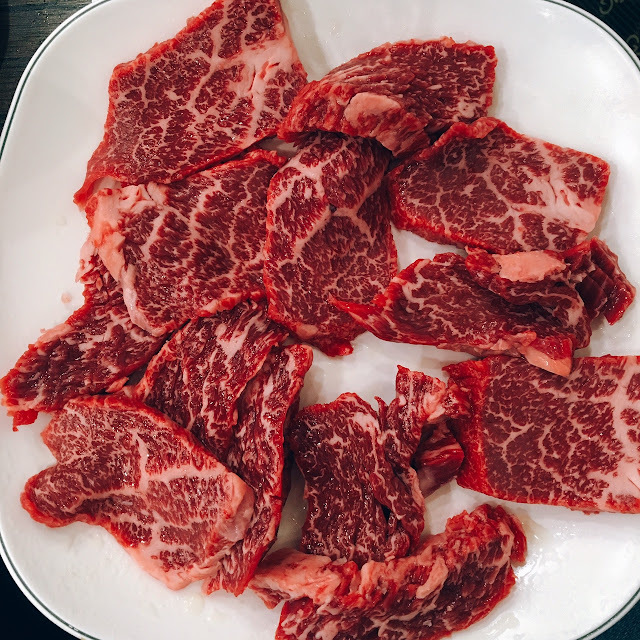 Here are just a few shots of the beef, before it's ready to grill. 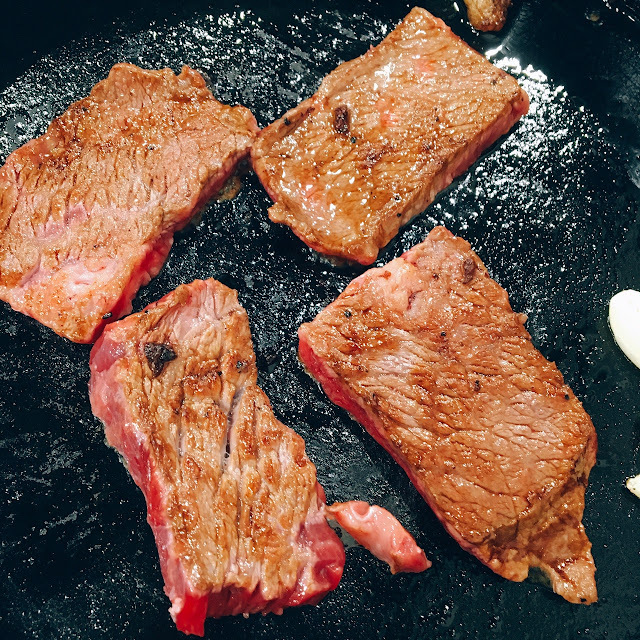 Then when you're ready, you take a piece of fat prepared on the pan and grease the surface a little bit before cooking the meat. 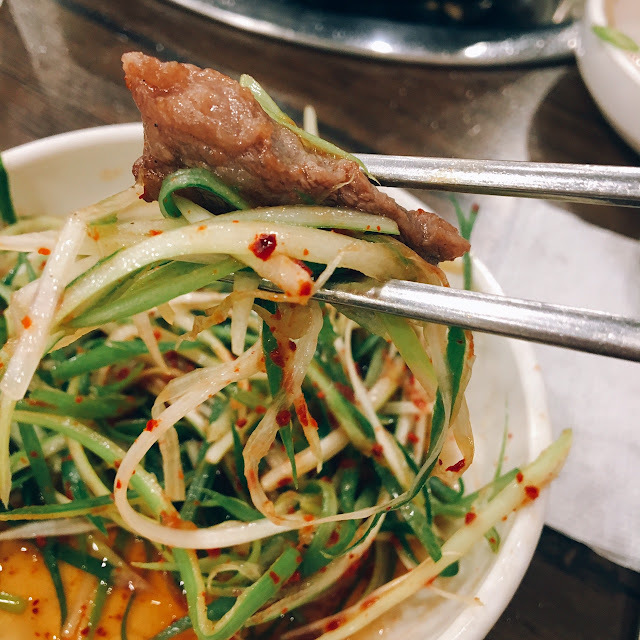 They say the best way to eat Han-u is to just add a little salt and eat it as it is, without any side dishes or veggies. That way you get to really taste the true flavors of the meat. But green onion + veggie side dishes are also provided, which I think is equally delicious!